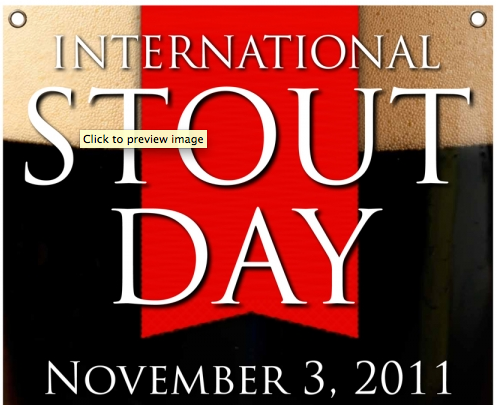 So, Thursday was International Stout Day. I’ve been cutting back, so I had no stout (or any beer for that matter) on Thursday. However, as one blogger put it, I was “pre-loaded for the holiday.” Instead of having a stout on ISD, I enjoyed what might be the most hyped stout of the year: Founders Canadian Breakfast Stout. Our best beer bar is located in a restaurant called Sycamore. Sycamore hosts the most incredible beer dinners. Wednesday’s affair featured Founders and their lineup of badass beers. The night featured a firkin of Harvest Ale and, more importantly, a keg of the highly sought after Canadian Breakfast Stout, or “CBS” as the beer nerds call it. Anyway, for $10, I received a glass of CBS. It was too cold at first, so I warmed it as best I could while sipping slowly. There’s tons of bourbon, but I was surprised to taste so much coffee in this beer. Had it not been for the oak, bourbon, and thick, syrupy mouthfeel, I could have sworn it was Founders Breakfast Stout and not the CBS. Still, this was a sticky mess of a beer. The sweetness from the maple syrup was almost overwhelming. I felt my mouth and hands were sticky in the same way the are during a pancake dinner when I was a kid. The beer was lot to handle with all that stickiness and the inevitable heat from all that alcohol. However, as is typical of the North American beer geek, this hot, sticky mess was a glorious drink to behold. 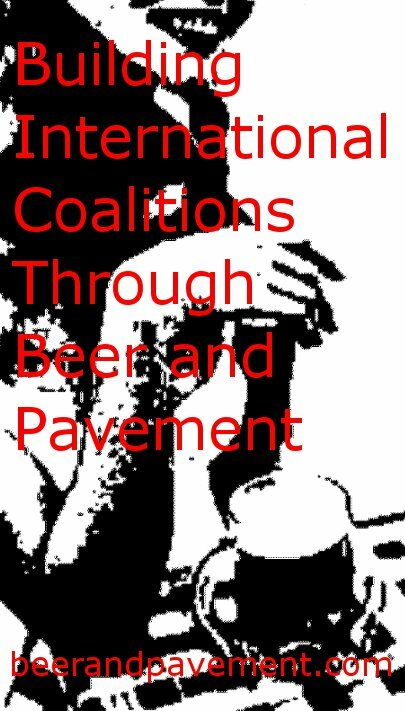 So, we drank it all in one evening, picking apart what may be a top-5 beer for anyone. Like I said, I’ll hold onto my bottle of the liquid gold. My wife wants me to sell on eBay for a $100, but I could never do that. First, I want to see what it tastes like after being aged a bit. Second, I don’t know that this beer – nor any beer – is really worth $100. It was good. I don’t regret the $10 I paid for my glass, but no one should have to pay $100 for a beer. After we were all nearly done with the CBS, a beer club member pulled out a Black Tuesday from The Bruery. Now, that beer is a behemoth. Imagine a Dogfish Head World Wide Stout (if you’ve had one) with a huge bourbon and oak presence. Then, imagine that 18% slobber-knocker in a 750 mL bottle. Yeah. Let that sink in for a moment. So, that’s how I prepped myself for International Stout Day. The tooltip over that image is driving me insane. That’s funny. I didn’t even notice it until now. Thanks for the insight, I definitely am looking forward to consuming this one still. I think I’ll end up opening it up sometime between Thanksgiving and Christmas. Go for it, but take it slow and easy. I have a friend who drank his entire bottle in one evening, but I’d suggest sharing with one or two friends.